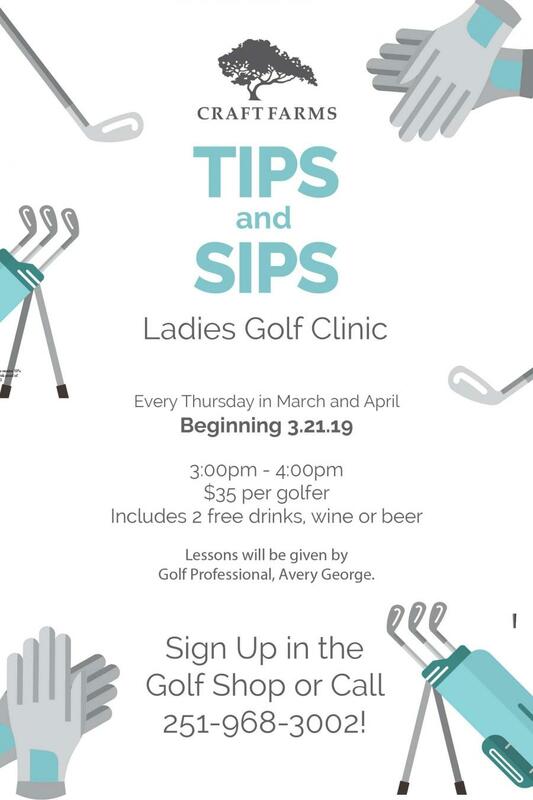 Taught by female Golf Professional, Avery George! The first 8 to sign up will be able to participate and then we will begin creating a wait list. Hurry and secure your spot by calling 251-968-3002! Site by Imavex | Craft Farms Golf Resort © 2019. All rights reserved.